As you reflect upon the gift of a Savior born to us, may you have a blessed Christmas and New Year! 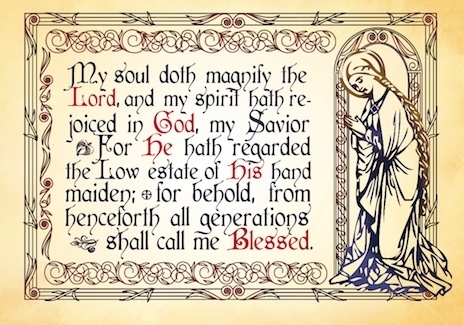 Outside: My soul doth magnify the Lord, and my spirit hath rejoiced in God, my Savior For he hath regarded the low estate of his hand maiden for behold from henceforth all generations shall call me Blessed. 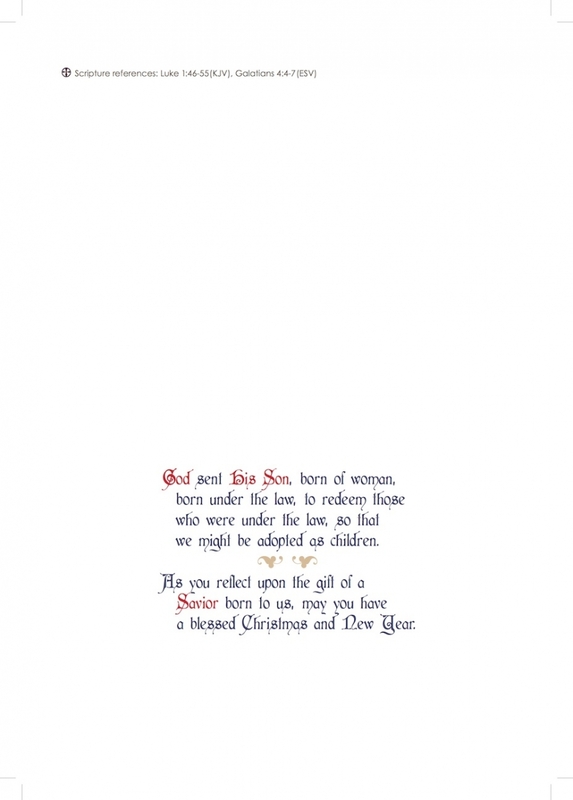 Inside: God sent his Son, born of woman, born under the law, to redeem those who were under the law, so that we might be adopted as children. As you reflect upon the gift of a Savior born to us, may you have a blessed Christmas and New Year.